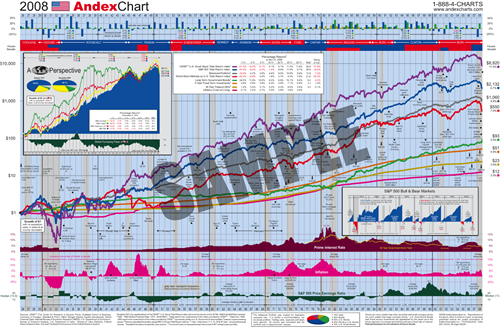 The Andex Chart (US version, Canadian version) is a graphic that combines a ton of data from various sources for the past century: presidential terms, market indexes, world events (“IBM PC introduced in 1981”), interest rates, price of oil, inflation, etc. It’s intensely interesting. posted by Jonathan at 8/22/2009 07:36:00 p.m.
Where can I find a Canadian version of the 2009 Andex chart? By Anonymous, at 5/09/2010 11:07 a.m.
By Jonathan, at 7/21/2011 8:35 p.m.